Will We See a New Tony Hawk Game After THPS 5? | Nerd Much? Will We See a New Tony Hawk Game After THPS 5? After seeing the reaction to Session, the newest skateboarding video game franchise that made some waves at E3 (mostly because it trolled all of the Skate 4 hopefuls), it’s clear that skateboard games still have a fanbase. With that in mind, allow me to re-present this article I wrote about the Tony Hawk franchise three years ago, following the release of the atrocious Tony Hawk’s Pro Skate 5. I should note that I personally think it’s incredibly unlikely that we’d ever see a Tony Hawk’s Pro Skater 6 or anything like that. If the franchise were to ever make a return, we’d have to imagine that it would a reboot of some kind. But the point is to get the discussion going: will we ever see a new Tony Hawk game now that THPS 5 drove it into the ground? Let us know in the comments! We stand by that review, of course, but there’s something we didn’t mention in the review that I think deserves some discussion. Is it over for the Tony Hawk video game franchise, or could another game somewhere down the line resurrect the franchise? Will we EVER see a new Tony Hawk game announced? While this is the worst skateboarding video game of all-time, it’s worth noting that it didn’t kill off the series’ remaining fans. Sure, it was offensive that Activision could release such an atrocity, but the franchise could still be salvaged — all it needs is one great game. Can the Tony Hawk franchise be saved? I could easily see THPS fans get behind a new game, say two years down the line when this has blown over. It would have to be significantly better than the game we just received, but that could theoretically be done. It’s also worth noting that Robomodo shouldn’t be given the opportunity to develop the next game. They’ve had their three strikes with Tony Hawk: Ride, Tony Hawk: Shred, and now this recent release. That’s it — take them out of the game. It also shouldn’t be called Tony Hawk’s Pro Skater 6, but should clearly take the reboot route by just being a Tony Hawk or something like that. If Activision were to reboot the franchise — and I have no doubt that they’ll make an attempt in a couple of years — they would have to replace Robomodo with a developer that knows what the hell they’re doing. Personally, I don’t think I’d ever purchase another Robomodo game as long as I live, so Activision would immediately be doomed if they gave the company another vote of confidence. But place another company in the hot seat to bring new ideas that don’t involve a cheap chunk of plastic, and it’s possible that the Tony Hawk franchise could become relevant again. With THPS 5 being such a miserable experience, and EA being completely mum on anything having to do with Skate 4 or the Skate franchise in general, maybe it’s time for a new entrant into the skateboarding game market. With the love for Skate being at an all-time high, it’s clear that skateboarding game lovers want something closer to a sim than an arcade experience. 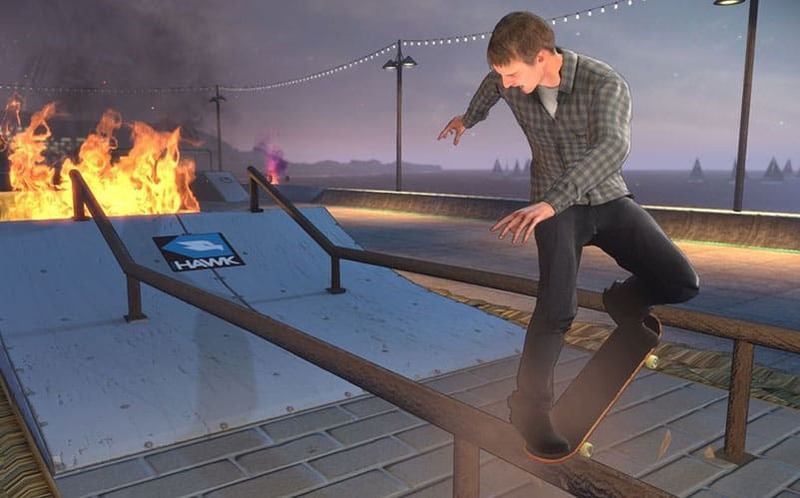 Could Tony Hawk rebrand as a skateboarding sim and be successful? Or, should the series just be forgotten? Sound off in the comments below – we’d love to hear from you!